Presenting the Niagra bouquet by Haute Florist, exquisite floral artistry hand tied by our professional florists. With avalanche roses cushioned with iris, thistle dashes and agapanthus. The bouquet is hand tied with tanacetium flowers and presented in a luxury wrap and bag. 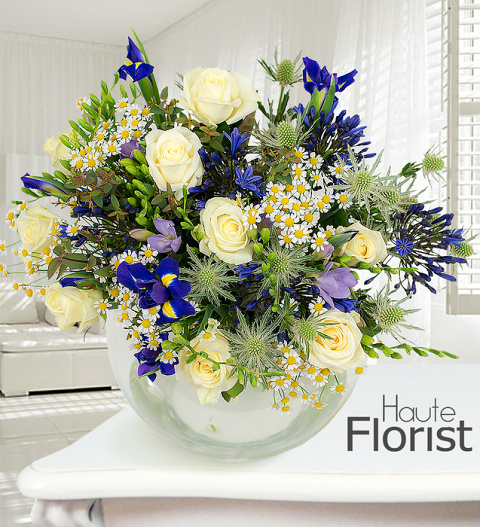 Haute Florist serves those special occasions, pleasing is an art and available for UK next day delivery.